The health of your teeth and gums influences your overall health. Tooth decay, gum disease, tooth loss, and poorly aligned bite all interplay with how the rest of your body functions. Dr. Ramon M. Ortiz and Dr. Natalie J. Ortiz recommend all children and adults come to Painted Skies Dental Center for preventive dental services, especially the six-month exam and cleaning. Your diligence at home, combined with great care from your dentist in Las Cruces, will yield a strong, attractive smile and better systemic well-being. The professional team at Painted Skies Dental Center believes that what happens in your mouth positively or negatively impacts your systemic well-being. That’s why your dentist in Las Cruces recommends semi-annual examinations and cleanings for patients of all ages. The doctors inspect for tooth decay, proper dental bite and jaw joint function, condition of restorations such as fillings and crowns, gum disease and even oral cancer. They understand that left unattended, small problems become larger, expensive and uncomfortable problems. 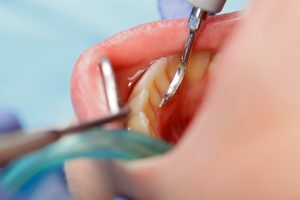 Even deteriorating restorations, such as crowns and fillings, and a poor dental bite can complicate oral health and its systemic effects. Misaligned teeth often cause headaches, jaw discomfort, sinus problems, neck and back pain and other debilitating issues. Drs. Ramon and Natalie Ortiz highly recommend semi-annual dental cleanings for all their patients, whatever their age. Cleanings remove sticky plaque and rock-hard tartar that contain the germs that inflame and destroy gum tissue, decay and loosen teeth and ultimately destroy the jaw bone. At Painted Skies Dental Center, tooth scaling and root planing smooth root surfaces, allowing gum tissue to reattach. The dentists often instill antibiotics to cure the infection, too, and use a soft tissue laser where necessary to gently debride infected gums and speed healing. In addition, everyone needs to practice good dental hygiene at home. For children through adults in their senior years, the American Dental Association advises brushing twice daily and flossing once a day to remove the plaque and food residue that brushing can miss. Combining good hygiene with a healthy, balanced diet makes for attractive, long-lasting smiles. Less sugar and more lean meats, fresh fruits and vegetables, whole grains and low-fat dairy help teeth and gums stay intact and bright, and nutritious eating makes for better systemic health, too. Don’t postpone your dental check-ups and cleanings. Not only will your smile thank you, but your overall health will, too. Please contact Painted Skies Dental Center today to arrange your appointment. We want to be your oral health partner for your best life.